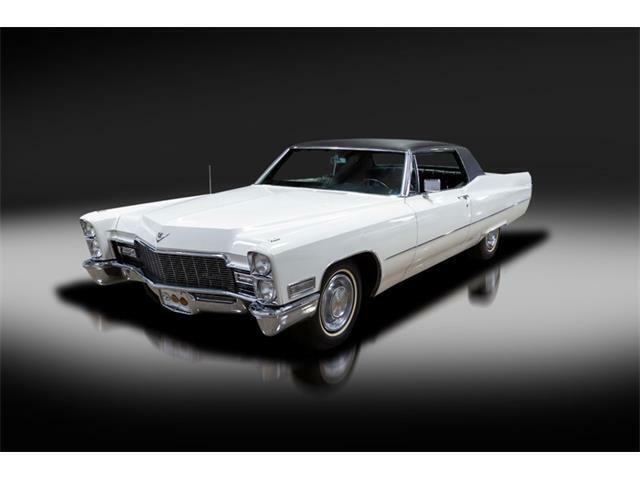 The Pick of the Day honors the much-beloved Queen of Soul, Aretha Franklin, whose funeral procession last month included more than 100 pink Cadillacs. 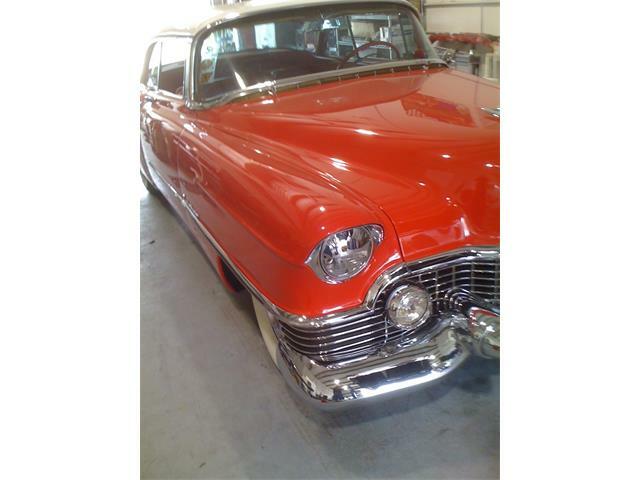 This could have been one of them, a 1957 Cadillac Coupe DeVille advertised on Classic Cars.com by a dealer in Woodstock, Connecticut. 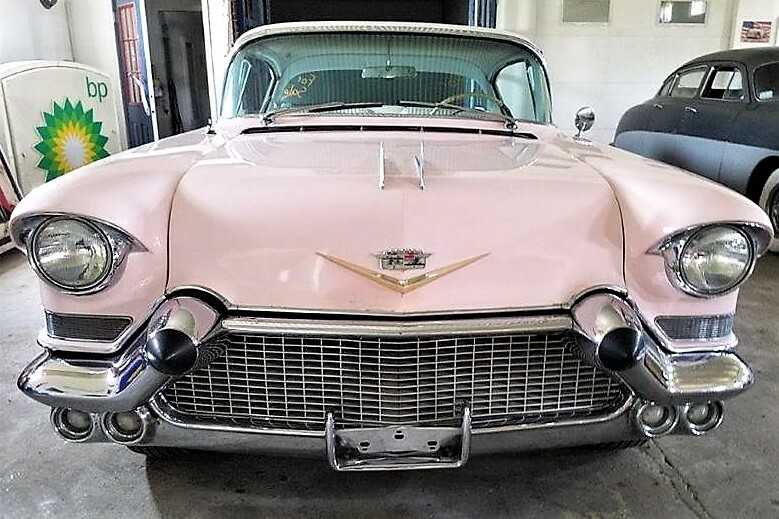 The Caddy is a cool-looking two-door hardtop painted in a light pink with blue-and-white interior. 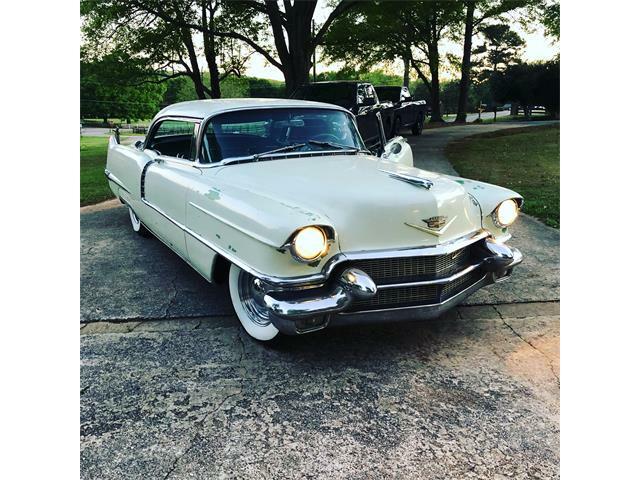 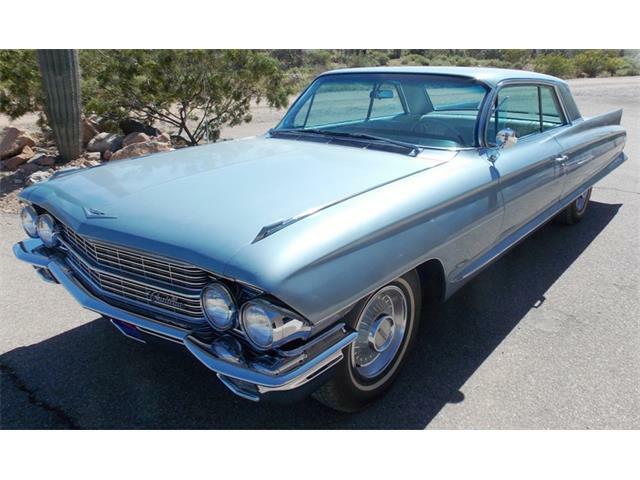 Model year 1957 was a watershed time in GM styling, and this DeVille shows the beginnings of the towering tailfins that would become the signature feature of the luxury brand. 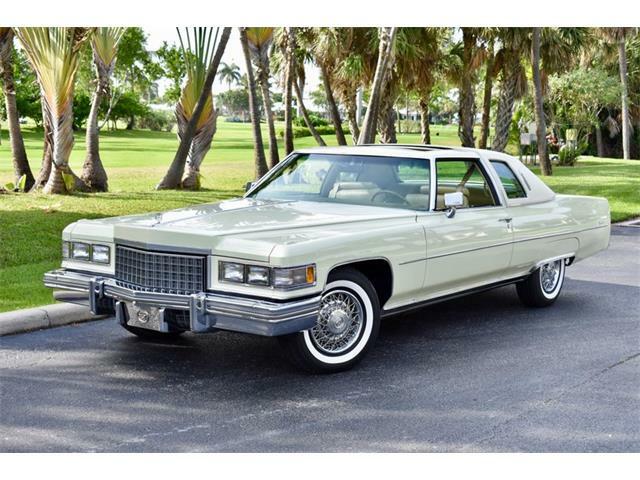 The car looks fairly presentable in the photos, although as the dealer notes it’s not in perfect condition and could use some cosmetic freshening. 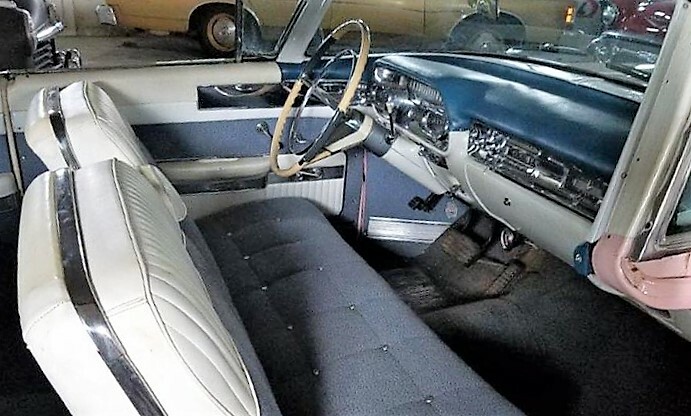 The apparently original interior “looks in good condition,” according to the ad. 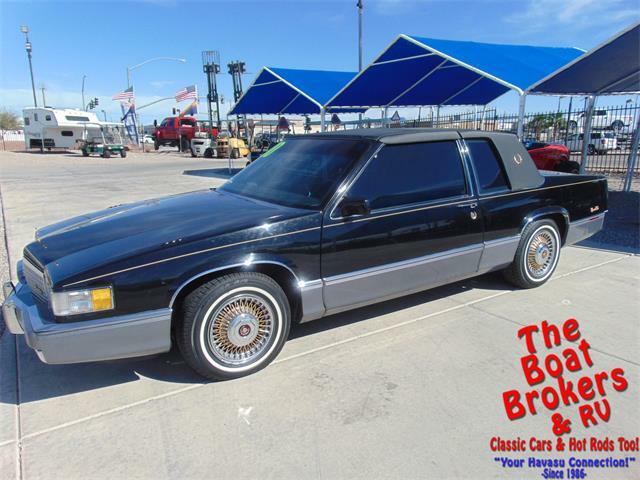 “The car looks good from 10 (feet) but the paint is older and has some imperfections upon closer inspection,” the ad says. 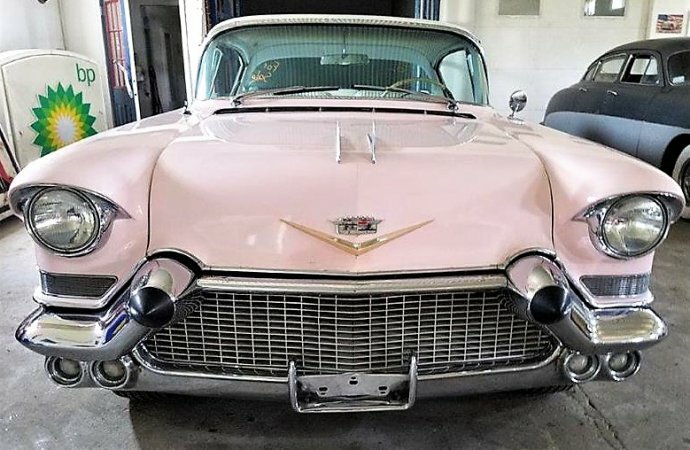 The pink Cadillac (which also would give props to the Bruce Springsteen hit) is priced at $25,750. 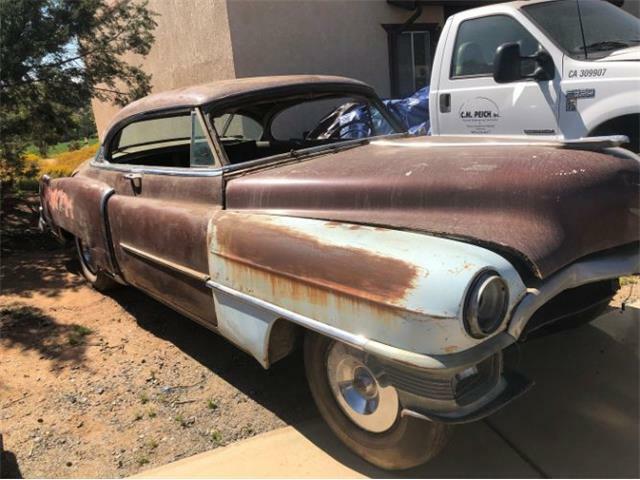 That should give the next owner plenty of room for upgrades. 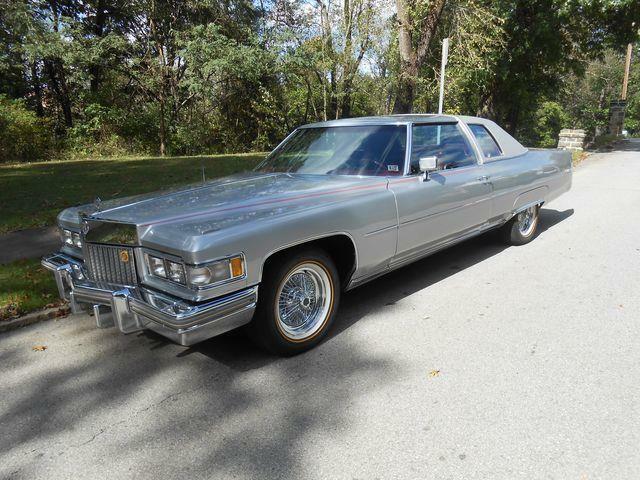 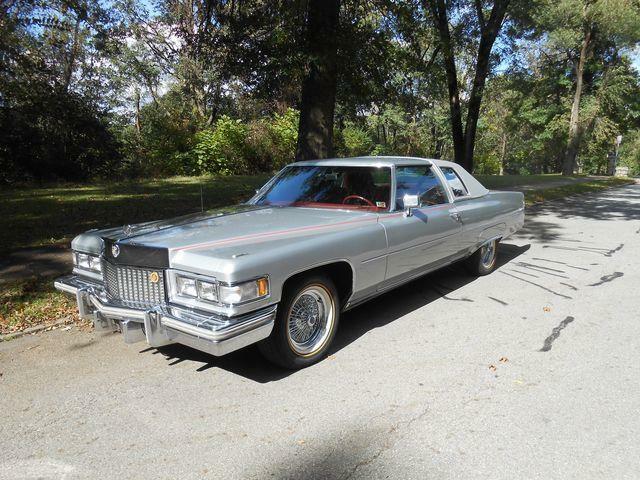 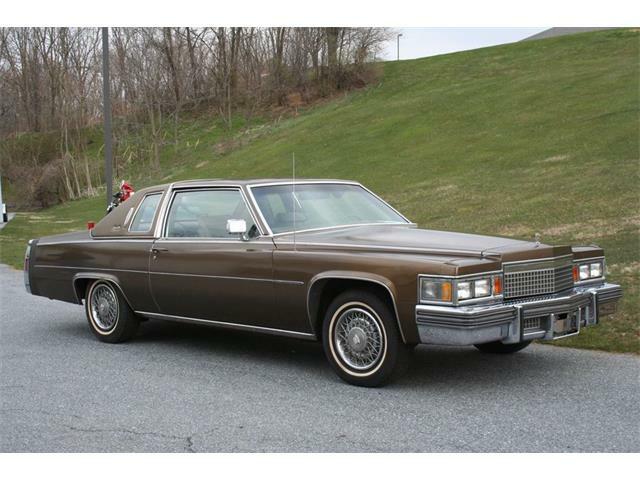 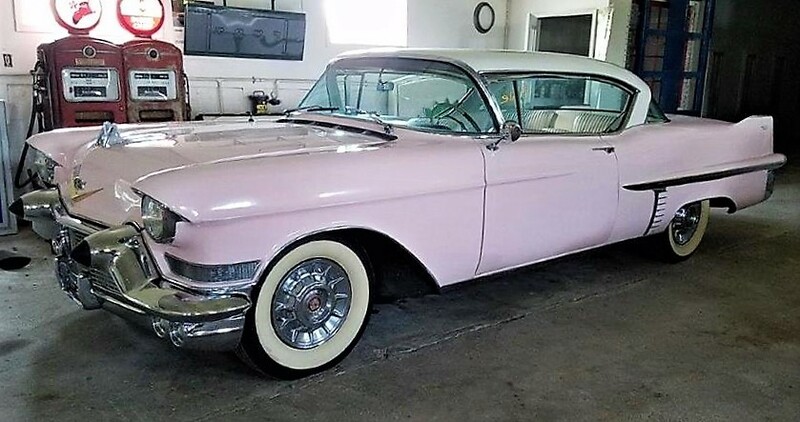 BEING A PITTSBURGH, PA. DISC JOCKEY I ALWAYS PLAU ‘FREEWAY OF LOVE’ AT MY SONS AND I SUMMER CAR CRUJISES AND WE SEE A LOT OF CADILLACES DIFFERENT COLORS AND A PINK ONE OCCASIONALY. 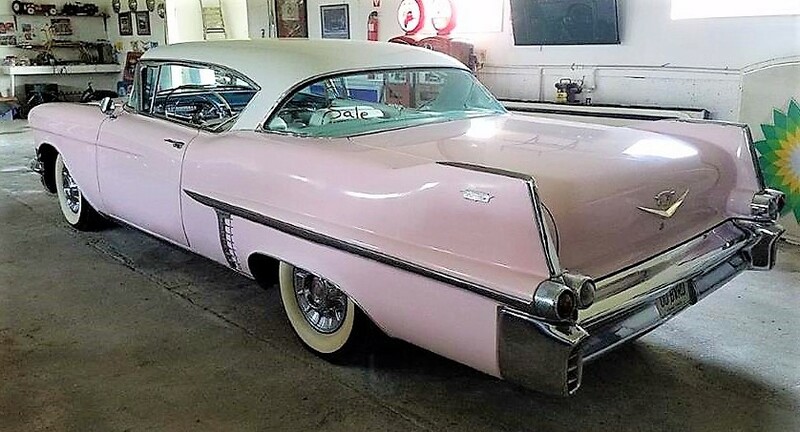 NICE STORY BUT TO BE CORRECT THERE WHERE150 PINK CADDILLACS AT ARETHA FRANKLLINS FUNERAL.